part-time job reduced my income significantly, whilst the doctor’s bills continued to rise. Some days I couldn’t even get out of bed. I felt useless and worthless. I had body and self-image issues. Weight loss, puffy steroid cheeks and moustache, atrocious skin. I hadn’t been to the hairdresser in months. Despite my partner telling me how beautiful I was, I didn’t feel it. Socially I tried to go out as much as I could, but I would knock back many invitations, or cancel at the last minute. Even when I did manage to get out, I wasn’t myself due to the fear and anxiety. I reminded myself, this wasn’t my fault. I stayed positive as much as I could and knew I had to carry on and make the most of my situation. I had to claw back the confidence I was continuing to lose. It would have been easy to just stay at home where I was comfortable and felt safe, but that’s not what I wanted. What’s the worst that can happen? Okay, maybe I will have an accident: I’ve pooped my pants in public on several occasions. It’s embarrassing and not fun, but you deal with it. Of course, you’re not always going to be well enough to do this. You have to listen to your body and put your health first. When I was well enough though, I did everything I could to prepare for an outing and taught myself many different strategies to help my confidence and sense of security. Eventually it came to the point of surgery, and with that came a whole new set of challenges around confidence and self-image. 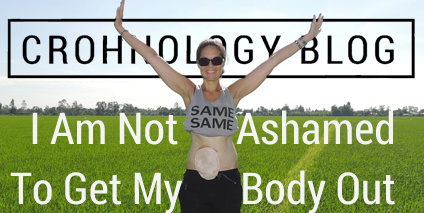 It took some time, but I have adjusted to being an ostomate very well. In fact, in many ways I am now even more confident than I was prior to my diagnosis! 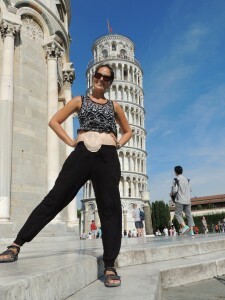 Having Crohn’s helped me understand what’s really important and not to worry so much about what others think. We have to make the most of life with what we’ve got! I am more at ease and confident within myself and with my body, and so grateful and proud of what it does for me. I’m not afraid or ashamed to get my body and my bag out! Of course I sometimes still struggle, but as I would before, I do things to help me feel better and work through this. I talk about it with friends and family, or a psychologist or hypnotherapist. I look for the good in everything, including myself, and always remember I am not alone. We are all beautiful and worthy no matter what, on the inside and out! ← How Does Prednisone Work?